Our Creator has a unique way of connecting us to one another. It can happen within moments or over a period of time. Throughout social media and the referrals of others, I've met some amazing people; talented people with beautiful vibes. For anyone who knows me, knows that I love good vibes. Remember that song, "she's got that viiiiiibe, viiiiiibe, vibe...". Okay, I'm back lol! There's a song for everything I swear. THE SPOTLIGHT RETURNS and is shining on a Queen that has that vibe. She brings light to my timeline on Facebook and Instagram everyday, with her positive posts and words of encouragement. 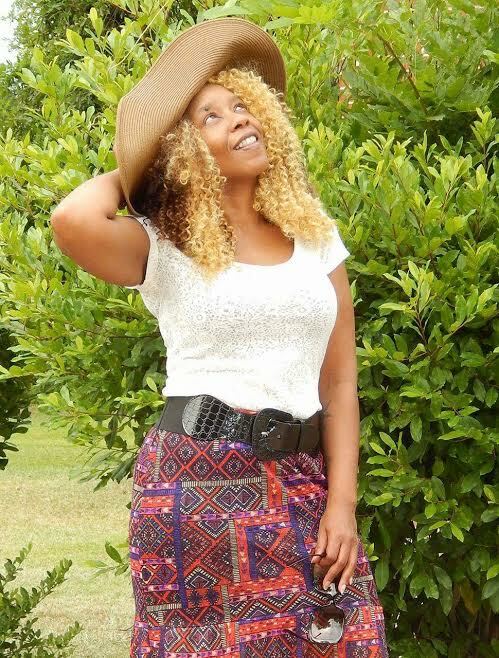 Hailing from Cordele, Georgia, its Author Tamara Wellons-Blanks! Tamara was born in Albany, GA and raised in Cordele, GA where she presently resides. Did you know that Cordele, GA is the watermelon capital of the world? I didn't! Author Tamara Wellons-Blanks aka Dandii_Lion shares with us that before she was anything else, she was and remains a reader. It's refreshing to find that there are people out there that still appreciate diving into the pages of bounded books. Tamara, thank you for joining us on The Spotlight. What is the story behind your artistic/author name? A. When deciding upon my pseudonym, I wanted a name that defines me. I decided on the name Dandii_Lion for two reasons. The first reason is because I am a Leo and I like the unique spin off of my zodiac sign, represented by the lion. Second, dandelions are considered “pesky weeds” and are plucked or chopped down out of gardens, crops and/or yards. No matter how many times they are plucked or chopped, they always come back and it’s usually 2-3 times more than what was plucked. Throughout life, I have been plucked and chopped many times, however through the Grace and Mercy of God, I return stronger and more knowledgeable than I was before. Wow, that is wonderful! I was always curious behind the meaning Dandii_Lion. You've also started a brand. What is the name of it? A: The name of my brand is Keepin’ It Roaring with Dandii_Lion. Where did the name of your business/brand come from? A: “Keepin’ It Roaring” originally started as a hashtag I use for promotional purposes. As everything began meshing together, accordingly, I decided it was time for me to develop my brand and logo for my business, officially. A lion’s roar is fierce and will get your attention. One of my goals is to continuously Keep It Roaring with progression and developments. When was your business established and why? A: Keepin’ It Roaring with Dandii_Lion was established in 2016. However, I am still in the process of building my business. I decided to begin Keepin’ It Roaring with Dandii_Lion because after 13-15 years, I was finally in a better position in my life to be able to place more attention on achieving my personal goals. As a single mother, I made the decision and sacrifice to place my goals on hold. It takes money to establish a business and it takes money to raise children. If I had to do it all over again, I would. To shorten a long story, I began and remain establishing my business because I am in a better place in my life personally and professionally. If not now, when? And if not me, who? Absolutely! Everything has it's timing. So, Tamara, how long have you been a writer? A: I have been a writer since I was in the 5th grade in elementary school. I became a published author, officially, in 2016.
Who or what inspires your creative process? A: There are several factors that play an inspirational role in my creative process. Life, itself is inspirational. With the variety of experiences and emotions felt on any given day can start my juices flowing. Nature is very inspirational. Nature captures the beauty that can only be seen with an open mind and mentality that thinks beyond the ordinary. Attending church inspires me. Listening to the congregational songs and the messages being given by the pastor gives my spirit rejuvenation. My parents are one of my greatest inspirations. My daughters inspire me to push through even the toughest of days. The legacy I am building, I pray one day they will continue. However, in order for them to receive it, I have to lay a strong foundation to help ensure the continuance. Reading and art are also inspirational. To some this may sound odd, but I also inspire myself. Many times, I reflect over my past, think about the present and/or “daydream,” so to speak, about my future I am working towards. It can be stimulating. I begin feeling the need to release the emotions the reflections bring to my heart and the writing begins. That's beautiful! Laying down a strong foundation is important. In addition, you never know how your journey and your gifts that you share with others may inspire or help them. What do you believe makes you stand out from others that may be doing what you are doing? A: I believe each individual has distinguishing characteristics that helps them to stand out amongst others. In reference to my handmade crafts, the type of crafts I create helps me to stand out amongst other crafters. After doing extensive research, I noticed that plastic canvas design crafting is rare. That was the “green light” for me. In reference to being a writer and published author, the goals I have set for myself will help me stand out amongst other amazing writers and authors. Writing is my greatest passion and I want the name Dandii_Lion or Tamara Wellons-Blanks to be an option in multiple genres. I do not want to limit myself to one specific genre, although poetry is my primary genre and has been the majority of my life. As a writer, indie author and poet, I do not limit my creativity in writing. I had the opportunity to collaborate with Tamara on her first book, Biblical ABC Learning, in which I created the illustrations on each page. The cover art was created by Black Encryption. 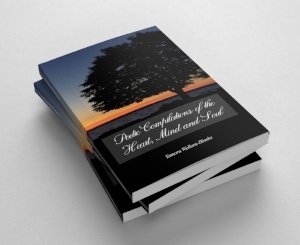 Shortly after the release of Tamara's first book geared towards children, she release two more titles, Poetic Compilations of the Heart, Mind and Soul. Following that, Poetic Consolations, which are both available here. What, if any, are some challenges that you are facing as an author/entrepreneur? A: One of my biggest challenges is building my small business and being an author living in a small town. I do not consider my town to be a place where creative individuals such as authors, artists, musicians, entrepreneurs, etc. are able to grow and develop to their desired satisfaction. Events that are beneficial can range from 2-8 hours away from where I live, depending on the event location. However, I do not allow this challenge to deter me from my goals. Whenever I am able to participate in or travel to events, I do. I also remain diligent in utilizing the available connections in my town, such as our local TV station or local newspaper to spread the word of my business and books. Small steps are always better than no steps. Despite the restrictions of living in a small town, I can say that Tamara goes hard with promoting herself on social media! Have you had any moments of success, achievement or fulfillment that have counteracted any challenges you may have faced? If so, what are they? A: I have not encountered any aspects that have counteracted any moments thus far, however if anything ever occurs, I will continue to pray and push forward with my journey. A: One project that I am working on is developing is a Roaring Readers program for children. The purpose of the program is to help encourage children to read more books. The program will be local, however, as it develops I hope to reach a larger range. One of my goals is to be able to travel to various places and have events that help contribute to increasing the number of children reading. Also, to find out what kids enjoy reading, not just in my town but other towns and cities as well. In order to keep children interested in reading, writers have to give the children what they want. Their need to read is even more important than adults (my opinion). That's awesome!!! I wish you much success in your program. A: My ultimate goal as a writer is to have at least one book in as many genres as possible. Readers are always looking to read “the next good book.” I would like to see my books as options in whatever genre may be searched. A reader may read a suspense novel by me and may wonder about skills in romance. If I have books in genres of romance, they would not have to wonder long. The worst and the best remark I have heard thus far is, “Tammy, stick with what you know, poetry.” It was the worst remark because the remarks were based on reading my poetry, ONLY, not because they knew of my other creative writing skills. Which was a lack of information, on my part. It was the best remark because it motivated me to work harder because readers need to know I am more than just a poet, I am a writer without limitations. Wow. Isn't that something? I can definitely relate to what you're saying. Doubt by others can fuel that fire inside us. it gives us a opportunity to rise to the challenge not only to prove them wrong, but to prove to ourselves that we can achieve what we put our minds to. Tamara continues: My ultimate goal as a crafter and building my small business is simple, “Be the best at what I do.” I am my biggest critic and competitor. Each day I want to be better than I was the day before and always apply learned lessons and use logic, instead of making irrational decisions. Thank you Tamara Wellons-Blanks for taking the time to share your story with The Spotlight. I wish you much success in all that you do. Keep it Roaring!